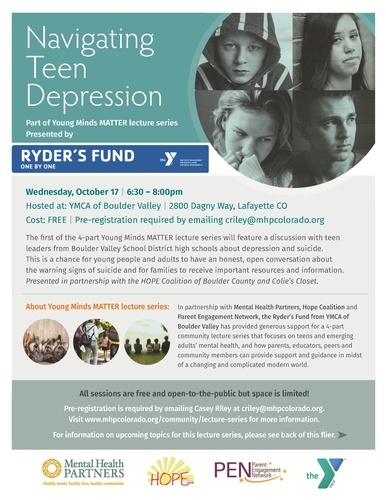 leaders from Boulder Valley School District high schools about depression and suicide. the warning signs of suicide and for families to receive important resources and information. Presented in partnership with the HOPE Coalition of Boulder County and C olie’s Closet.